Women were the driving force behind Democrats taking back the House, winning over 60% of the House seats that the party flipped in the 2018 midterms, according to the New York Times. Why it matters: This year's midterm election was dubbed the "Year of the Woman," and it turned out to be true — for Democrats. The incoming freshman class is "the most racially diverse and most female group of representatives ever elected to the House," as NYT notes, but that diversity isn't reflected much among the newly elected Republicans. By the numbers, from NYT: There are 42 new women joining Congress in January, but only four of them are Republicans. 23 people of color were elected to the House, and only one of them is a Republican. 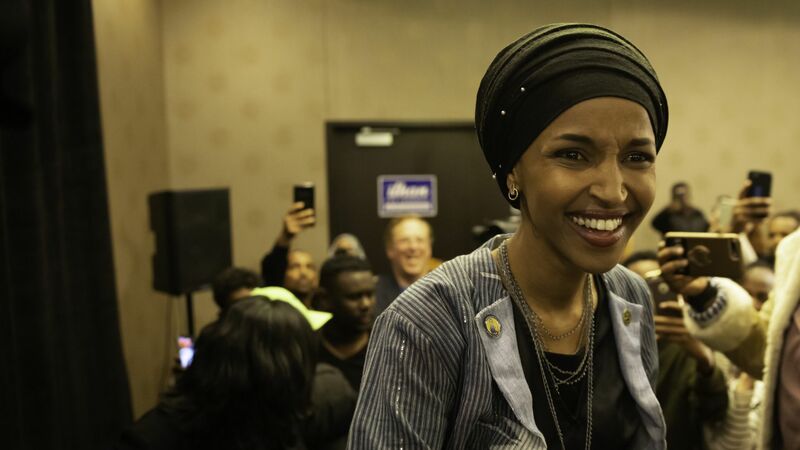 19 new House Democrats represent districts Donald Trump won in 2016, including four of the 25 newly elected progressive Democrats. 22 of the incoming members of Congress have either been in the military or worked at the CIA (12 Republicans and 10 Democrats). Of the 10 new senators, half are women. The bottom line: Congress is starting to look more like the country it represents, and the "Class of 2019" is setting records for its racial, ideological and gender diversity.